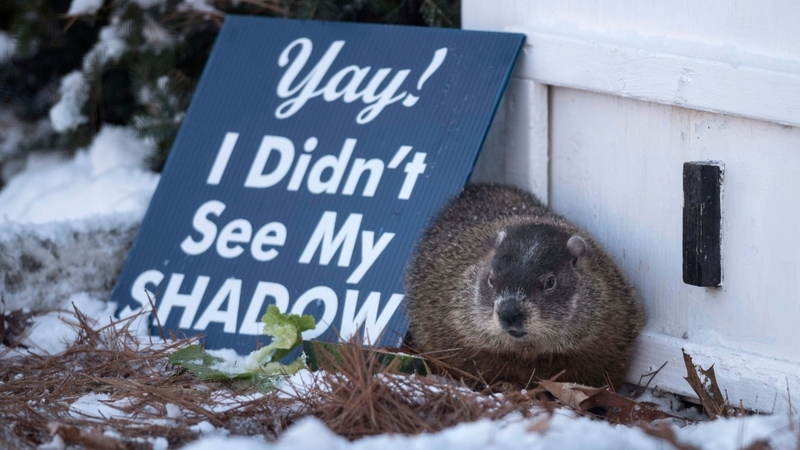 Canada's celebrity groundhogs have "predicted" an early spring after officials declared the pudgy prognosticators did not see their shadows. 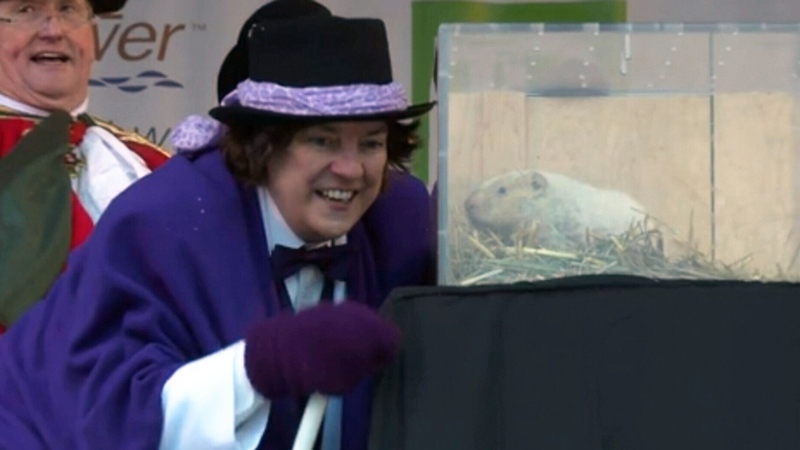 Ontario's Wiarton Willie and Nova Scotia's Shubenacadie Sam were both greeted by cheers as their forecasts were issued by their handlers on Thursday morning. Folklore has it that if the groundhog sees its shadow when it emerges from its burrow on Groundhog Day, there will be six more weeks of winter. If the groundhog doesn't see its shadow, then tradition says spring is on the way. "Soon we shall see the many colours of green," a town crier bellowed to the cheers of onlookers at the Shubenacadie Provincial Wildlife Park. "The good news that Sam did bring will mean we get an early spring!" In Wiarton, Ont. -- where a festival leading up to Thursday's "official prediction" by the town's albino groundhog began on Jan. 27 -- a crowd gathered in front of an outdoor stage to hear Willie's prognosis. The town's mayor put her ear to one side of a small enclosure on stage where the famous rodent was shuffling around before declaring "it's an early spring!" "Wiarton Willie sees no shadow in sight. He says early spring, will his prediction be right?" a town crier then called out. 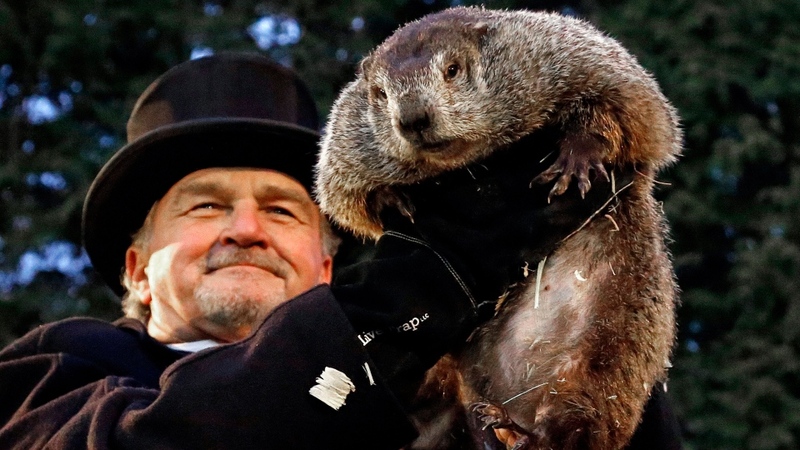 The handlers of Pennsylvania's most famous groundhog, Punxsutawney Phil, said the furry rodent "predicted" six more weeks of winter after seeing his shadow. Members of Phil's top hat-wearing inner circle revealed their "forecast" at sunrise Thursday. In reality, Phil's prediction is decided ahead of time by the group on Gobbler's Knob, a tiny hill just outside Punxsutawney, Pa.